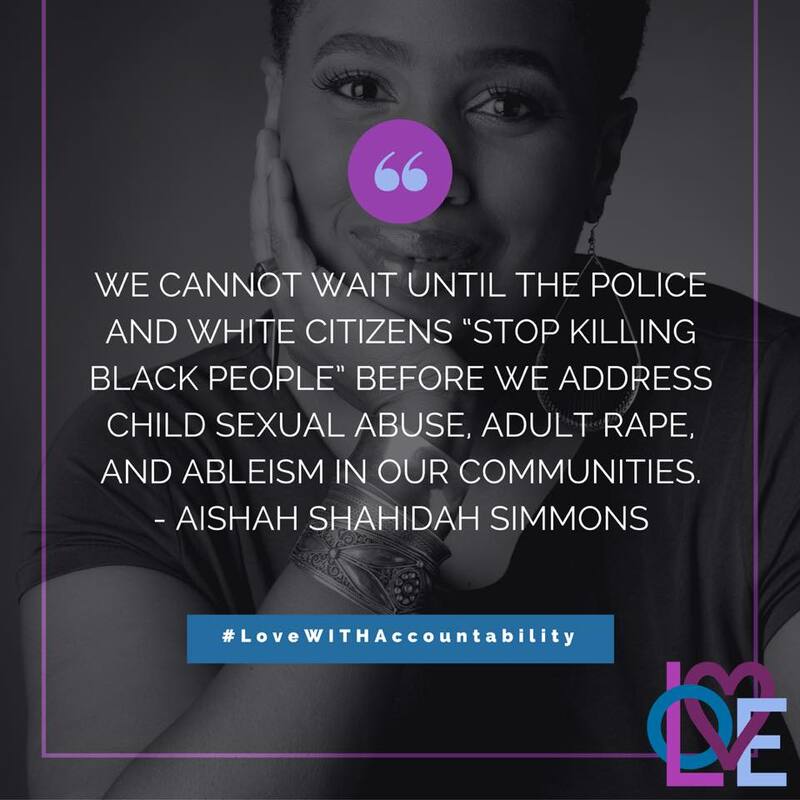 The first #LoveWITHAccountability gathering is an online forum that was curated by Aishah Shahidah Simmons and published on the online feminist publication, The Feminist Wire from October 17, 2016 - October 28, 2016. 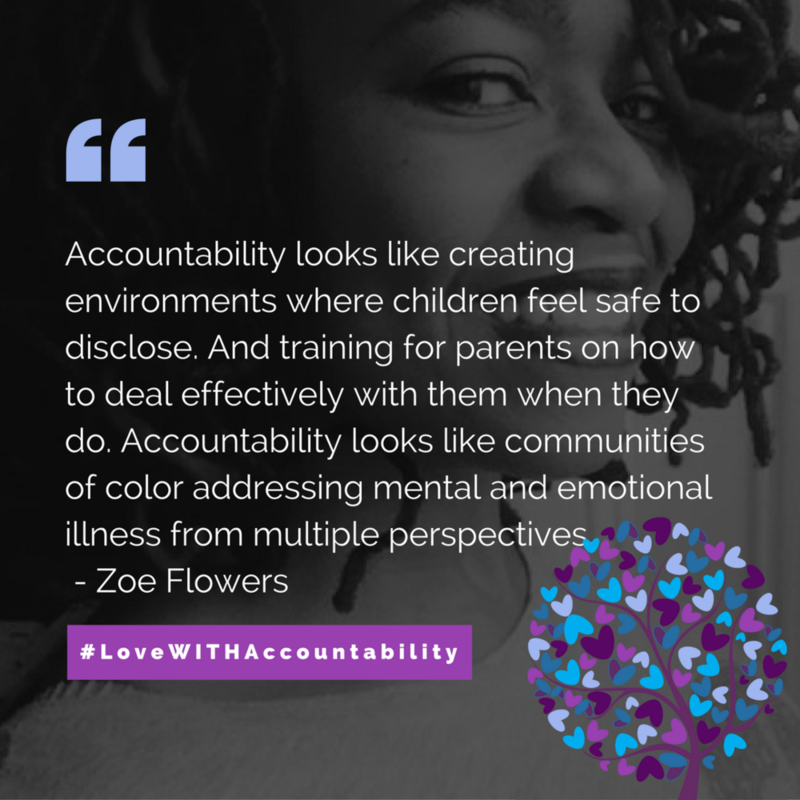 Over twenty-five diasporic Black cisgender women, trans men and gender non-conforming people, and cisgender men child sexual abuse (CSA) survivors and/or advocates were invited to share their experiences and perspectives about what accountability looks like when tackling CSA. 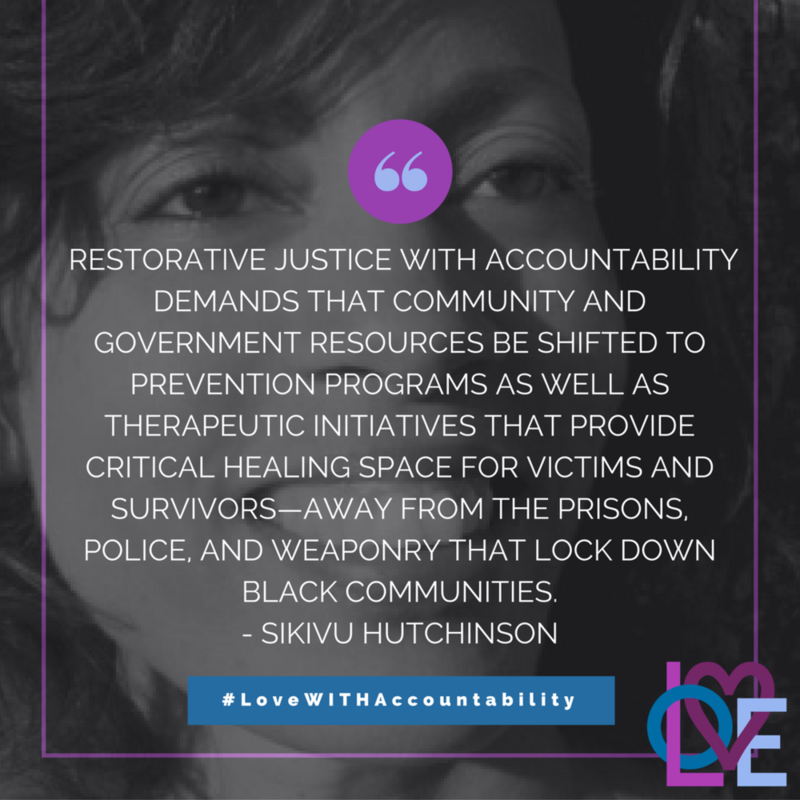 You can read each piece below. Since summer 2017, Simmons has been working to transform the online forum into a print anthology. 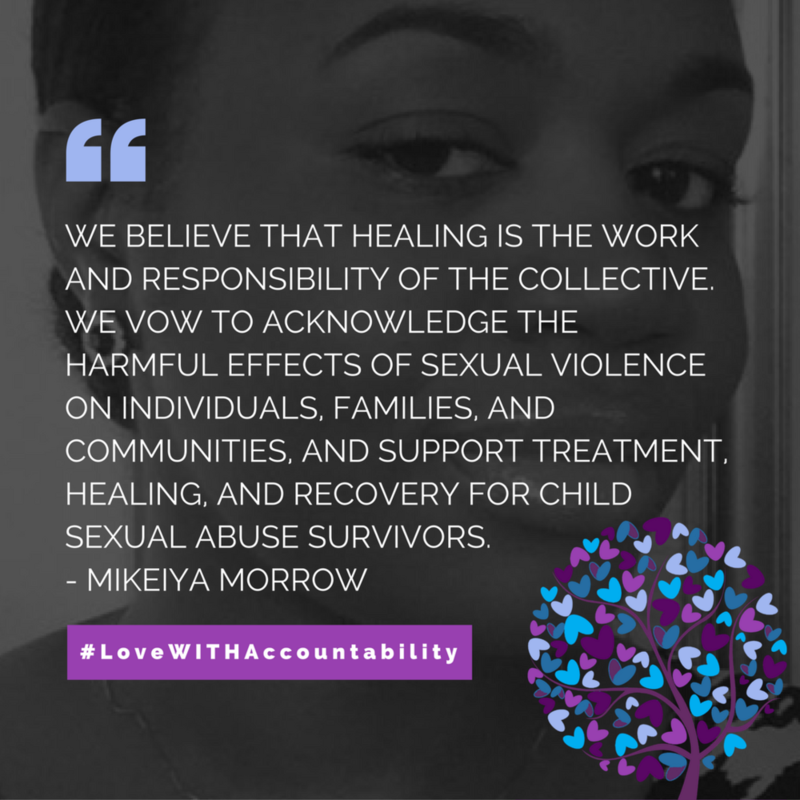 Love With Accountability: Digging Up the Roots of Child Sexual Abuse anthology, will be published by AK Press in Fall 2019. 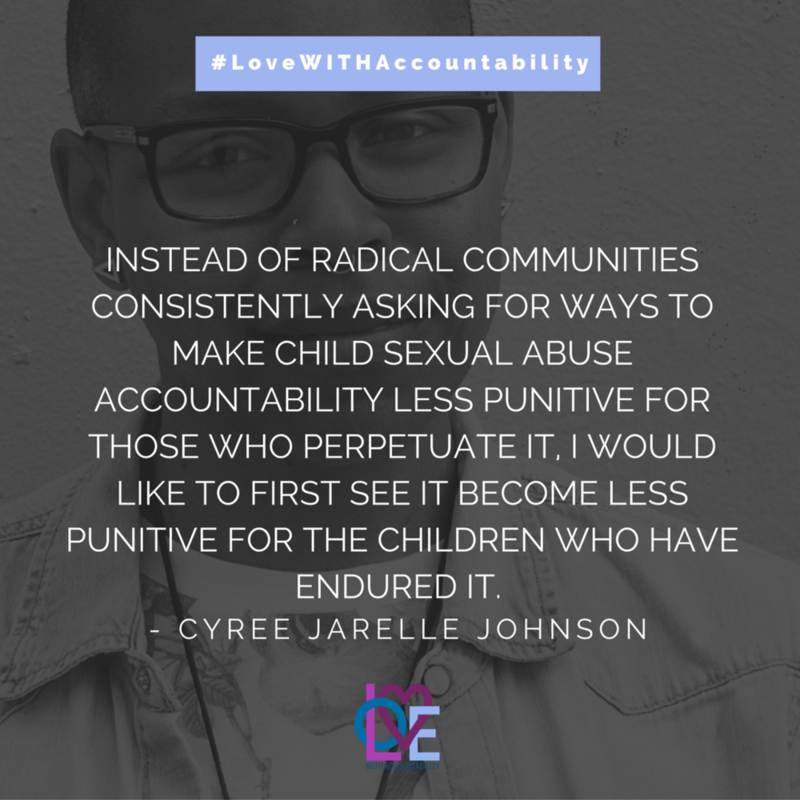 The anthology will be a hybrid of most, but not all of the revised texts that were originally published in The Feminist Wire, and fifteen original texts, totaling forty contributions.